The Holiday Inn Gatwick is situated right next to Gatwick Airport, one of the closest off airport hotels to the passenger terminals. Money-saving car parking deals are always available. Combine an overnight stay at the Holiday Inn Gatwick with long stay car parking at the hotel. The Holiday Inn Gatwick is part of a cluster of three hotels on the western edge of the small town of Horley within a mile of the North Terminal Gatwick. It is easy to 'escape' the hotel walking or getting a local bus into Horley town centre which has a great variety of shops and restaurants. There is also a large Tesco Extra supermarket 3 minutes walk from the Holiday Inn. The Holiday inn Gatwick normally offers at least two long term car parking options that normally include a choice of parking at the hotel or a meet n greet option where you collect your car on return at the Gatwick passenger terminal. For those opting for the hotel parking guests can take the convenient 24-hour airport shuttle bus to Gatwick Airport from the hotel, which runs every 15–30 minutes. There are two Holiday Inn hotels serving Gatwick Airport each offering hotel and car parking deals. 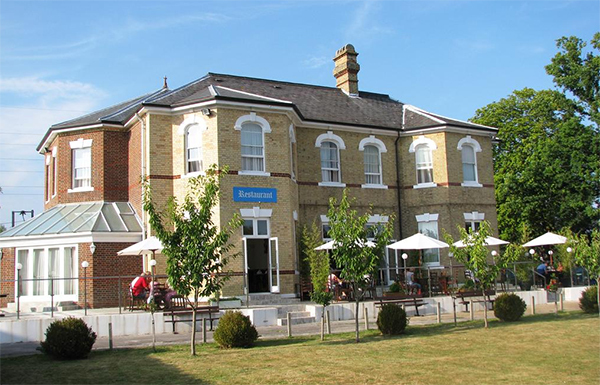 The alternative is the Holiday Inn Gatwick Worth, which normally is cheaper but further from the airport. A Meet 'n' Greet option - park in the car park at the back of the hotel and head inside to hand over your keys, registration number and return flight details. Your car will stay at the hotel for a few hours, before being moved overnight to a secured off-site car park by one of the parking team. In the morning get the shuttle bus to the airport and on your return your car will be delivered to you at the Approved area opposite the terminal. Each room includes a private bathroom, along with TV with satellite channels, video games, and pay-per-view movies. Rooms also feature a work desk, air conditioning, and tea/coffee making facilities. Family rooms have sofa beds and cots if you have kids. Trader's Restaurant serves breakfast buffets, burgers, and curries, while accompanied children under 13 can eat for free. The vibrant Hub Bar provides drinks and a relaxing atmosphere with sports shown on the TV.